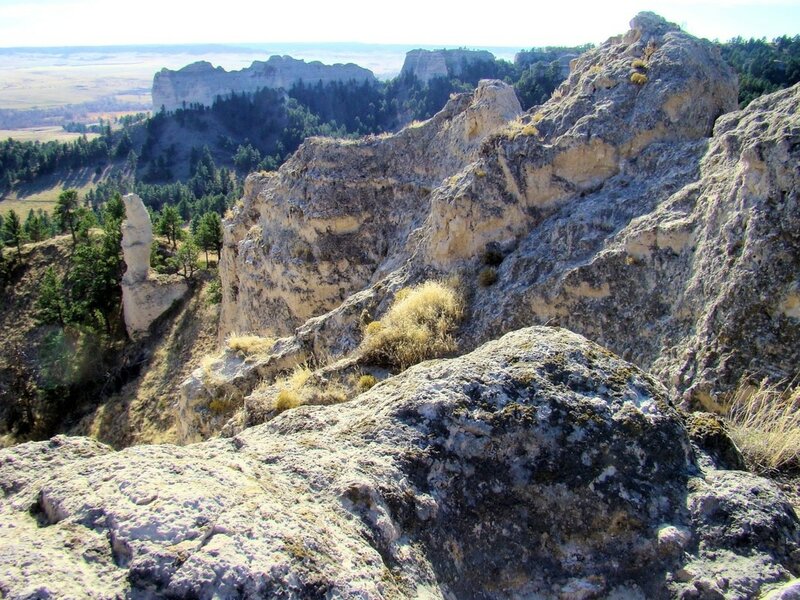 Lovers Leap was rated by the National Elevation Dataset as the overall steepest summit in the state. Needless to say, this is one of the most difficult scrambles among publicly-accessible summits in Nebraska. 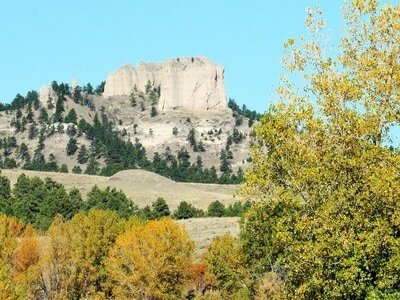 In many ways, this is Nebraska’s version of Little Devils Tower (located in the Black Hills). Located at the eastern edge of Fort Robinson State Park, in Dawes County, this Lovers Leap is not to be confused with the Lovers Leap on the eastern edge of Dawes County or the Lovers Leap Butte in the Wildcat Hills (must be a popular place name!). 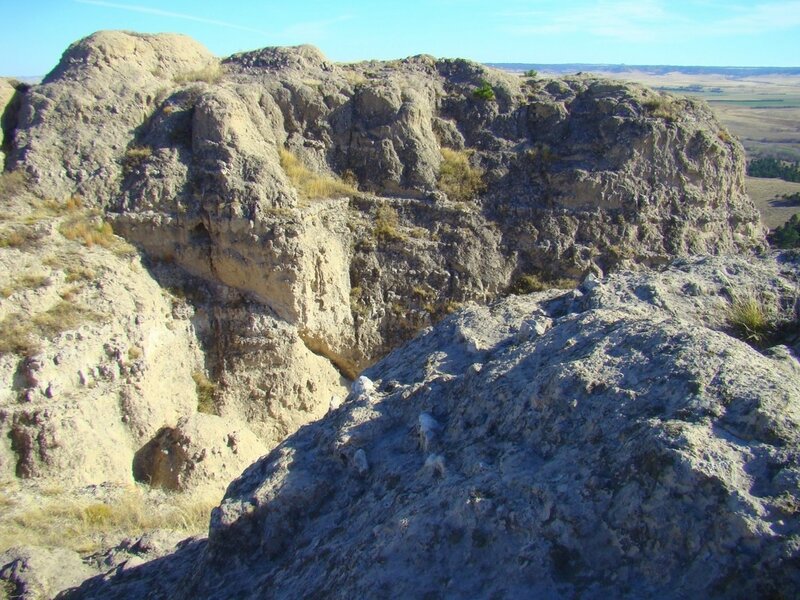 To travel to Lovers Leap Butte, go west on Highway 20 to one-half mile past the Legend Buttes Golf Course on the western edge of Crawford, Nebraska. 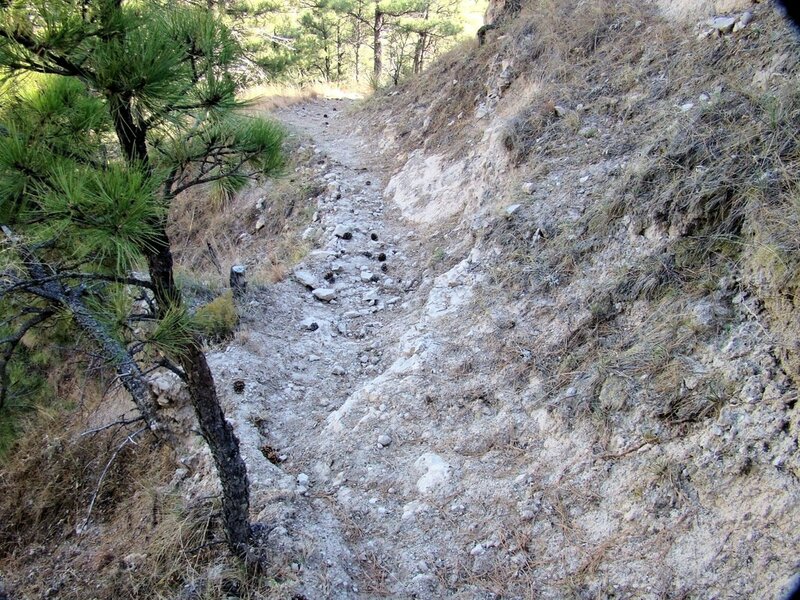 Turn right into a small, weed-covered parking lot. 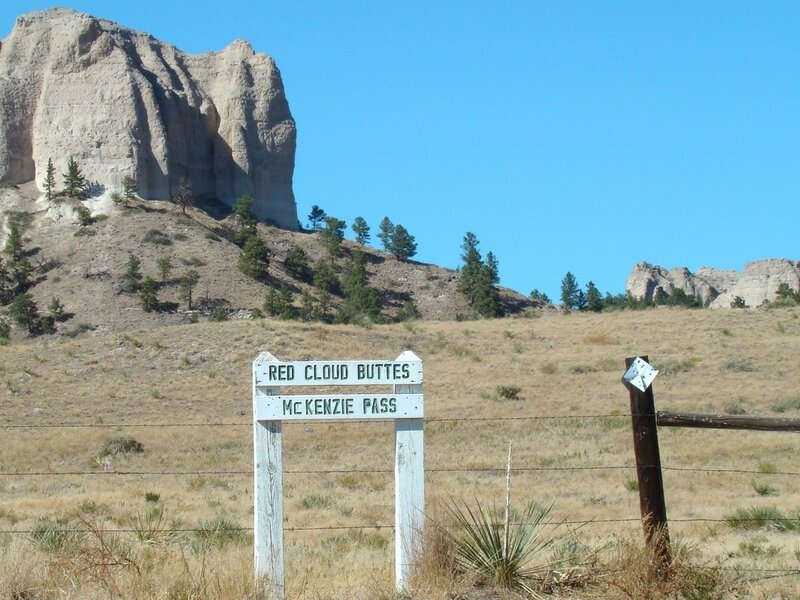 Normally the gate at the fence is locked, so you will have to climb over and start looking for the trail markers for the Red Cloud Buttes Trail. 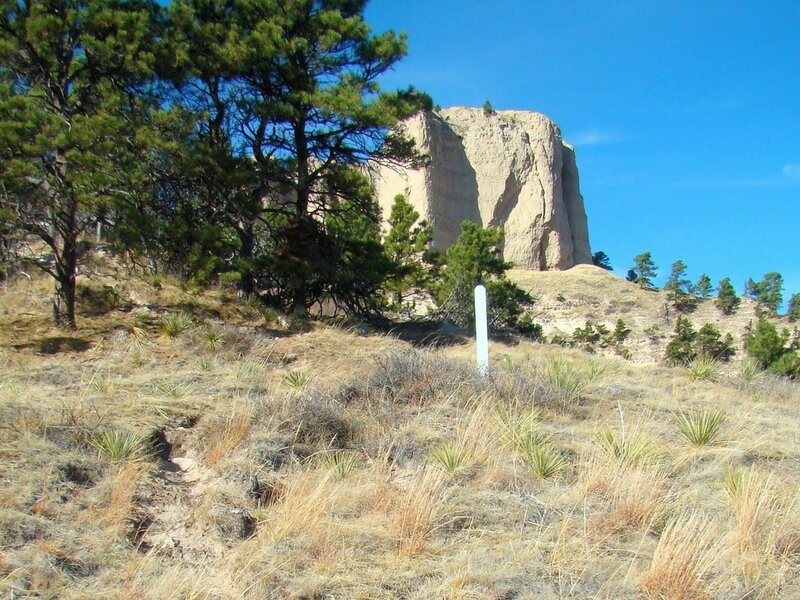 They are small diamond-shaped signs on posts. Follow the trail up to the saddle between the eastern edge of Red Cloud Buttes and Saddle Rock. 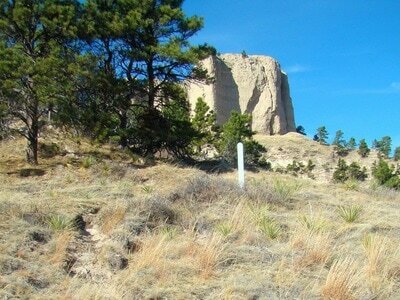 Go straight past the turn-off trail for Saddle Rock. In a few yards, you will come to another branch. 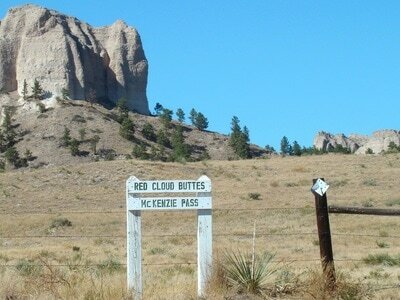 Take the left branch, where the trail will wind back to the west behind the Red Cloud Buttes. The trail gradually increases in elevation, and in less than 1 mile, you will come to another junction. Take the right trail, which will start curving back to the east. 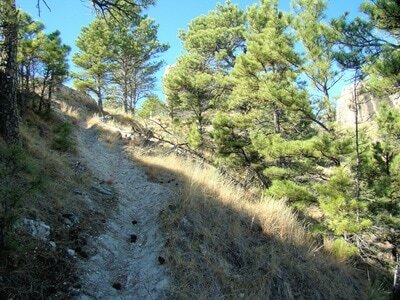 The trail will take you past some small buttes, then to a saddle out to Lovers Leap. 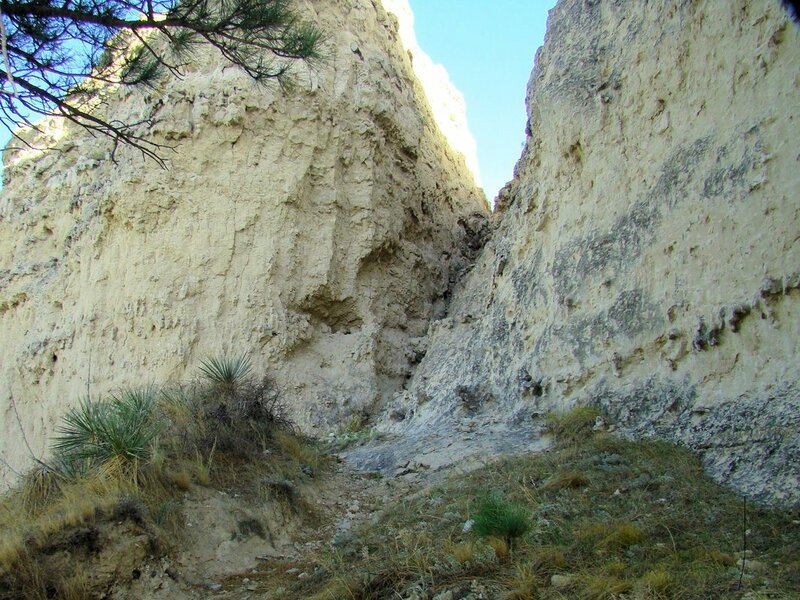 You will find that the sides all around Lovers Leap are almost completely vertical, except on the south side in a small area where there is something on the order of a chimney that will allow a very careful scramble to the summit. The summit area is rather flat, and affords excellent views of the whole region. 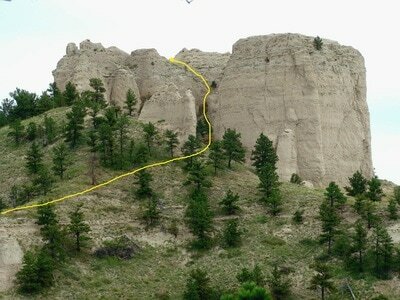 Caution is warranted, with an east side drop of nearly 400 feet. Crevice for northwest route to summit.